Looking at other solutions available on the market today we think the AAC20 is the most cost effective and compact solution for controlling AHUs. In addition, the AAC20 is freely programmable using the Sedona environment and with its built-in 8UI, 4DI, 6AO and 4DO AAC20 is ideal for controlling and monitoring simple AHUs. The AAC20 can store local histories and alarms using the SD card slot and is able to be a slave to the main BMS by Bacnet or Modbus. 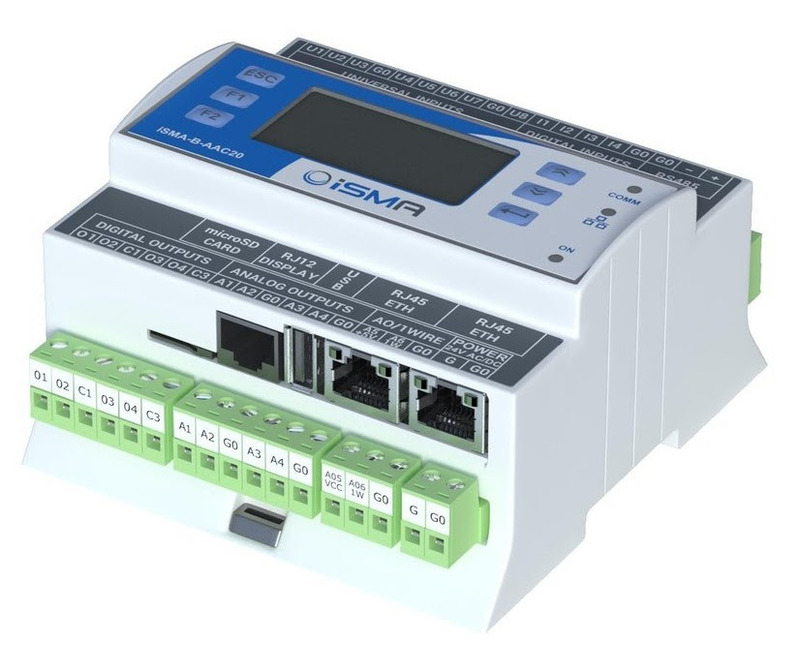 The unit can also be a Bacnet or Modbus master to other slave devices such VSDs or power meters. 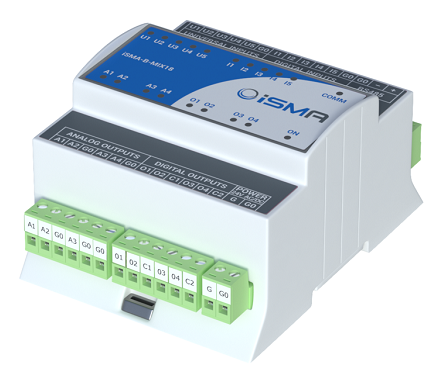 For more complex AHUs the AAC20 can be extended using the MIX18or any other iSMA IO module using Modbus or Bacnet. "There are a number of networked I/O products around, all of which probably work OK. The thing that sets the ISMA product, purchased from Innon apart is the fantastic support provided by Radu. Radu answers emails at 22:00 on a Sunday evening and is almost always available on the 'phone to give both pre and post sales support. Buy your kit from Innon and you won't spend hours trying to work out configurations! Oh, the price is pretty good too! – Neil Fuller from United Kingdom "
We want you to always be informed with the latest BMS solutions and products. We are for Open Source and for allowing our clients to choose the best components for each project in the most effective way. We explore BMS products, IOT trends. Innon's New Year Resolution for Our Clients: Never Miss An Opportunity.